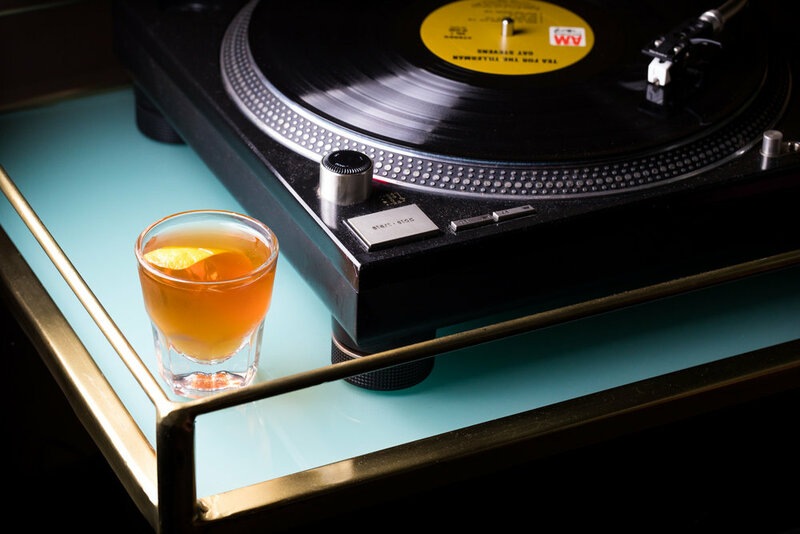 Pali Record Club opened at Palihotel Melrose in January 2018, crafting Low ABV highballs and stirred cocktails for guests as they peruse a curated record collection to create their own playlist. Modeled after the intimate vinyl bars of Tokyo’s Golden Gai district, with a healthy dose of 1970’s-basement-vibes, Pali Record Club offers a distinctly analog respite from the fast-paced digital life outside. 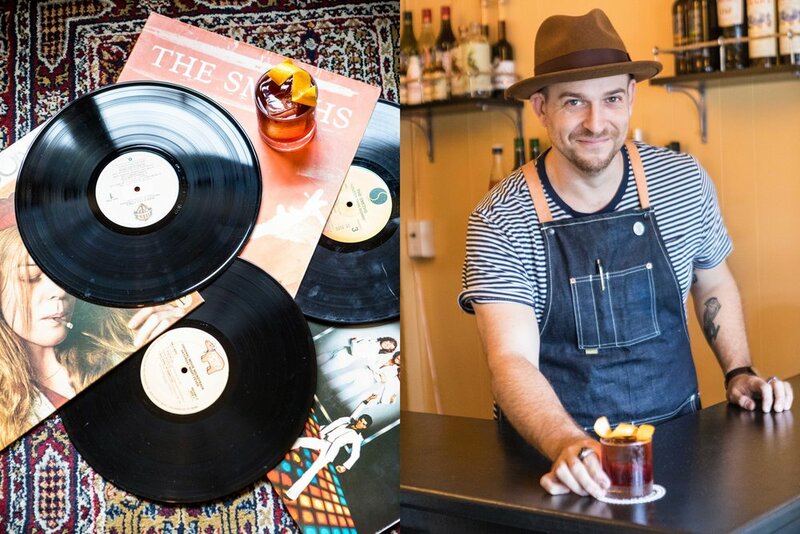 Come and create your own vinyl playlist while you sip handcrafted musically-themed cocktails. 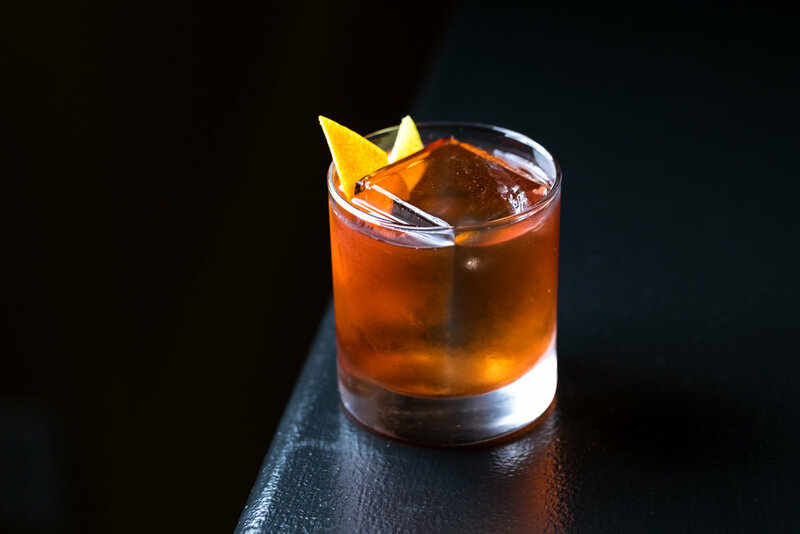 The bar is open Tuesday, Thursday and Friday from 5pm-9pm with guest bartenders and guests selectors every Tuesday. Also open Saturday from 12pm-8pm and Sunday from 10am-6pm. Interior shot of Pali Record Club. Blue plush couch on right, trunk full of records in corner, opposite wall has wood bench with pink seating pad and two patterned pillows. Split shot. Left image: yellow cocktail with lime garnish sitting on PRC menu. 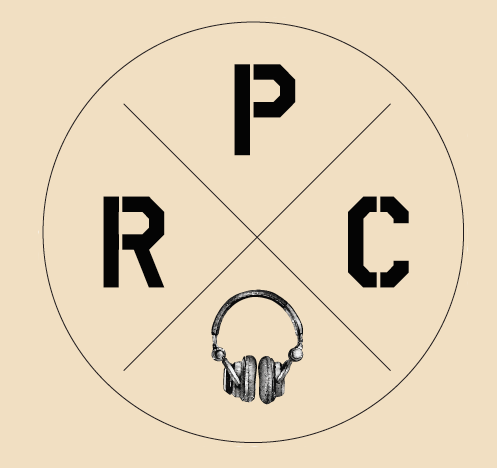 Right image: corner of room with PRC logo painted black on yellow wall. Plush bench seating and trunk full of records. Shot from upper left corner of room. 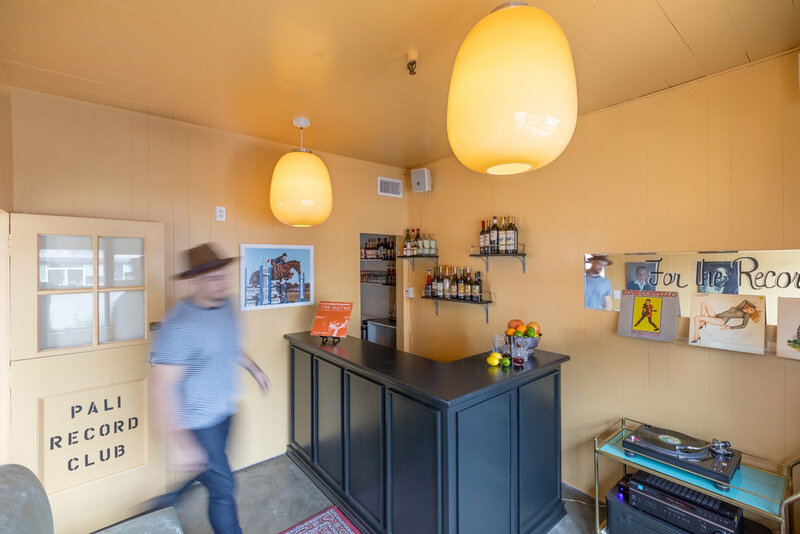 Yellow walls, oversized ceiling lamps, black corner bar with alcohol on shelves in the back. Split image - Left side: records and record sleeves displayed haphazardly on decorative rug with whiskey drink on one corner of record. Right image: bartender serving whiskey drink. Whiskey drink in tumbler on corner of black bar with lemon garnish. Closeup birdseye view of record player and record. Mirror with words "For the Record" painted in black cursive. Below that, clear plastic shelf with Elvis Costello record and 3 cocktails. Split image - Left: entry to PRC. Wood slatted walls and yellow door jam with view into bar area. Bar is black with yellow walls. Oversized lamp hangs from ceiling and drinks on wall. Shot from upper left corner of room. Yellow walls, oversized ceiling lamps, black corner bar with alcohol on shelves in the back. Bartender walking to record player.